This is the public profile of Danying Yang, Additional information and high-resolution images are available for accredited press members, to access additional information about Danying Yang please login as a press member. About Danying Yang : After BA degree in fashion design, I started lecturer experience in 1999 of all fashion relevant courses at Wuhan Textile University in China and devoted to the research of inheritance and development of National Costumes, whilst took the mission as volunteer lecturer of teaching and demonstrating garment technology in Ethiopia from 2002 to 2004. In particular, I took the active role as a fashion designer in many creative activities from practical garment to experimental fashion. With great passion in intelligent leading fashion associated with technological textiles, I completed PhD in 2012 and commenced my early career researcher in creation and exploration of the area between fashion design and smart technology through the medium of textiles at Heriot-Watt University in the UK. I have engaged in the projects of photovoltaic and fiber optic technologies in the world of innovative mood-changing clothing design, and wearable information system for Soldier Health Monitoring garment design. In accordance with the principles of good taste and the appreciation of beauty, aesthetics is the philosophy that is particularly possessed in art. As a vehicle for expressing or communicating the emotions and ideas, art is taken as knowledge or as action by using skill and imagination in the creation of aesthetic objects or experiences. Artworks can be defined by purposes, created by limitless concepts and shared with others, as seen in creative art or fine art. However, skill is used to express the artist’s creativity, and engage with the audience’s aesthetic sensibilities. Pursuing aesthetics and developing technology are perceived as two separate activities. For instance, an artistic designer may have no skill or knowledge of how to use technology; the scientist, on the other hand, does not understand why and how people judge beauty. The basis of the division between aesthetics and technology is because art designers are driven by aesthetics, senses and trends, whereas scientists are driven by functionality, efficiency and invention. The two domains need to be brought together, to bridge the division between aesthetics and technology because whenever technology signifies change, fashion realizes this change, and vice versa. When high-tech meets high-fashion, every design ought to incorporate practical functions and features as well as having a fine and fashionable look. In the era of interdisciplinary research, smart clothes and wearable technology is at the forefront of innovation to interpret the new meaning of Art and Design. 2012, Smart Garment Research, PhD, Heriot Watt University, Edinburgh/UK. 1999, Fashion Design, BA, Beijing Institute of Fashion Technology, Beijing/China. 2013-2016, Design Consultant, Heriot Watt University, GALASHIELS/UNITED KINGDOM. 2010-2011, Research Fellow, Heriot Watt University, GALASHIELS/UNITED KINGDOM. 2002-2004, Volunteer Lecturer, Entoto Technical Vocational Education Training College, ADDIS ABABA/ETHIOPIA. 1999-2006, Senior Lecturer, Wuhan Textile University, WUHAN/CHINA. 2009, “SMART energy harvesting and mood changing clothing”, Princess Royal Opening of Scottish Borders Campus, GALASHIELS/UNITED KINGDOM. 2008, SMART clothing project, display and interview by Scottish Borders ITV and broadcasting station, GALASHIELS/UNITED KINGDOM. 2006, "Tropics", the First MarediModa International Beachwear Showcase, BALI/INDONESIA. 2001, "Plum, Orchid, Bamboo, Chrysanthemum and Peony", the 9th MITTELMODA International Fashion Design Contest, GORIZIA/ITALY. 2000, "Harmonise the Eastern with Western", "Inherit the Past & Initiate the Future", "Reappear the Revolution", "Hand in Hand", Teachers’ Art and Photography Works Exhibition, HUBEI/CHINA. of Leisure Costume Design, BEIJING/CHINA. 2001, "The Principle of New Life", “Dalian” Chinese Fashion Design Contest, with Hua Yang, DALIAN/CHINA. 1998, "Heroine", “Mailyard” Chinese Fashion Design Contest, with Jianxin Yang, WUHAN/CHINA. 2004, "Inspiration & Impression", Adviser, Fashion Show organised by JACA, ADDIS ABABA/ETHIOPIA. 2006, Excellent Award, the First MarediModa International Beachwear Showcase, BALI/INDONESIA. 2001, Excellent Award, the 9th MITTELMODA International Fashion Design Contest, GORIZIA/ITALY. 2001, Memorise Award, “Dalian” Chinese Fashion Design Contest, DALIAN/CHINA. 1999, Excellent Award, Chinese Drawing and Illustration Competition of Leisure Costume Design, BEIJING/CHINA. 1998, Excellent Award, “Mailyard” Chinese Fashion Design Contest, WUHAN/CHINA. 2013, “Photonic Textiles for SMART Mood Changing Garments; MoodWear”, “AIC 2013 - Bringing Colour to Life”, P. 125. 2013, “Designing Innovative Icons to Represent Personal Information with Smart Clothing Technologies”, “The Business & Marketing of Icons”, P. 338 – 346. 2012, “The Concept of MOODWEAR”, International Journal of Clothing Science and Technology, Vol. 24 Iss: 5. 2012, “Wearable Information Garment System WIGS for Health Monitoring”, Interactive Textile for High Future Demand, ISBN 978-953-7105-44-0, 978-953-7105-49-5, Vol. 2, P. 1389 - 1394. Adobe Photoshop and Illustrator, Advanced. Microsoft Office: Word, Excel, PowerPoint, Advanced. 2013, “Designing Innovative Icons to Represent Personal Information with Smart Clothing Technologies”, 15th IFFTI Annual Conference, LOS ANGELES/USA. 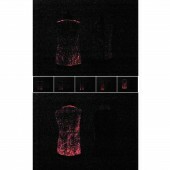 2012, “The Concept of Mood Changing Garments Made From Luminescent Woven Fabrics and Flexible Photovoltaics ‘MoodWear’”, 4th International Conference “SMART Materials, Structures and Systems”, ITALY. 2012, “Developing Psycho Textiles for Mood Changing Garments”, 5th International Technical Textile Congress, IZMIR/TURKEY. 2010, “Mood Changing Garments”, ATINER, 1st Annual International Conference on Visual and Performing Arts, ATHENS/GREECE. 2006, CTAS-UK (Chinese Textiles and Apparel Society), UK. Drawing, Sculpture, Handcraft, Violin Playing, Classical and Ethnic music, Walking and Running, Travel Photography. Press Members: Request an exclusive interview with Danying Yang.